We are a local business offering personalised service for the design & construction or renovations or alterations to your home or business. We can guide you through the Conception, Design & Construction to create that dream you have for your project. We will offer expert advice for all your ideas & can also help you out with Colour Consultancy too, helping to make that all important decision to add the finishing touches to finalise your vision for your project. Specialising in large renovations having won many awards in the Qld Master Builders Awards both in the Mackay & Whitsunday Region & State levels. We want you to enjoy the journey of building your home as much as we do.We don’t just put bricks on top of each other, hammer in a few nails and tighten a few bolts. We’re in the business of creating the most important thing in peoples’ lives. Homes are more than functional. They become places where families laugh, grow, dream and sometimes shed a tear. 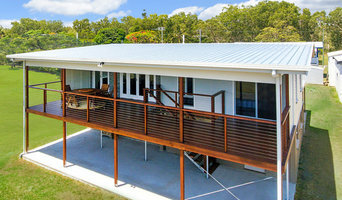 Gemini Homes (QLD) Pty Ltd is one of the most experienced builders in Mackay, offering a comprehensive service and an experienced permanent team to help build your dream home. 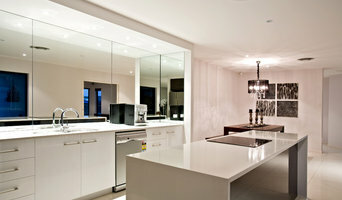 We are in the business of creating exceptional homes that exceed expectations. 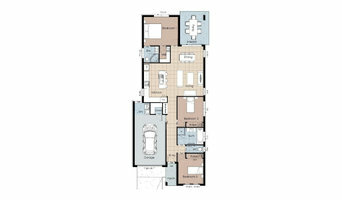 Our home designs are about making a statement in the neighborhood, they are stylish and distinctive. With a wide range of house and land packages available in some of Mackay’s best locations, our proven home designs make choosing easy. Medium sized Commercial Property developer - current portfolio includes Commercial buildings :ranging in size from 500m2- 1500m2 -3000m2 & the tenancy uses include : - medical centre - health & wellbeing - commercial office- 4 star . -bulky goods retail All sites are freehold - We have a portfolio of vacant land ,available for development including some potential JV opportunities that include - commercial CBD firing site suitable for up to 500 m2 building -quality Large Industrial site high level 2.244 HA ( 22,240m2) -beachside -24ha - natural beauty tropical lot - ? Potential seamless. Call Paul Maguire - managing owner -0419 301 347 Anytime . Firms that can carry out both design and construction in Mackay, Queensland take on the combined responsibilities of an architect, draftsman, construction company and additional contractors, providing one point of contact for homeowners. Having one entity responsible for the entire design and build, from estimation to subcontracting and even post-construction, streamlines and often speeds up the project significantly. Having a unified project team can also help you avoid unforeseen costs and delays in construction. In addition, the homeowner only has to interpret one contract with the design and construction firm, and not with various architectural design and contracting professionals. However, depending on the firm, you may still want to contact an interior designer or architect to help create the exact look you want. Here are some related professionals and vendors to complement the work of design & construction firms: Interior Designers & Decorators, Landscape Architects & Designers, Architects, Photographers. Project management demands time, skills and an eye for both detail and efficiency. While many homeowners choose to manage their own projects, they can often regret their decision once the build or home improvement project is complete. Homeowners should carefully consider the time they have available to allocate to locating, hiring and eventually paying every contractor who enters the site. From certifiers to roofers, and even your draftsman, a firm that can undertake design and construction in Mackay, Queensland benefits from having all of these home professionals under one roof. 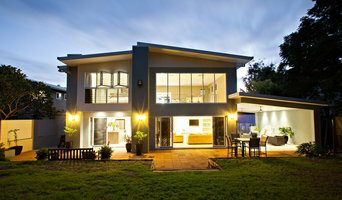 Find a Mackay, Queensland design-build firm on Houzz. Scroll through this page to find design-build firms in your area. You can browse recent projects, read reviews and message the firm directly. Another way to find a firm that can carry out design and construction in Mackay, Queensland is to browse Photos on Houzz. If there’s a photo you like, find out who designed and constructed it and strike up a conversation with the professional responsible.